Waneka is named after a lake in my town which has a cute little path around it. It’s a breeze of a walk, good for an afternoon clear-your-mind stroll. 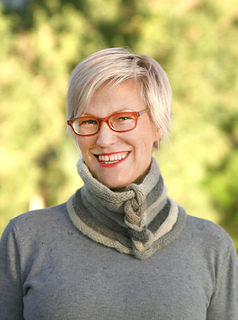 Similarly, this cowl is a good zone out and clean your slate sort of knit. It features join as you go icord with a super easy and clever braid up the side. 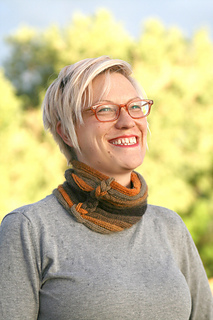 No cabling, no seaming, and no finishing other than weaving in two ends! 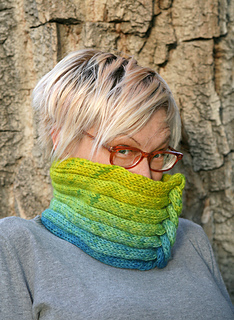 Any yarn weight will do with this cowl! You decide the sizing as you go so you don’t even need to swatch. Really! 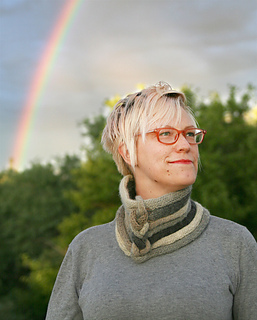 The stripes come from using yarns with long repeats. Samples are shown in Schoppel-Wolle Zauberball (mustard/gray), Knit Picks Chroma Worsted (black/gray/cream) and hand dyed Worsted (yellow/green/blue). More info, tips, and notes at the Wattsolak group over here!